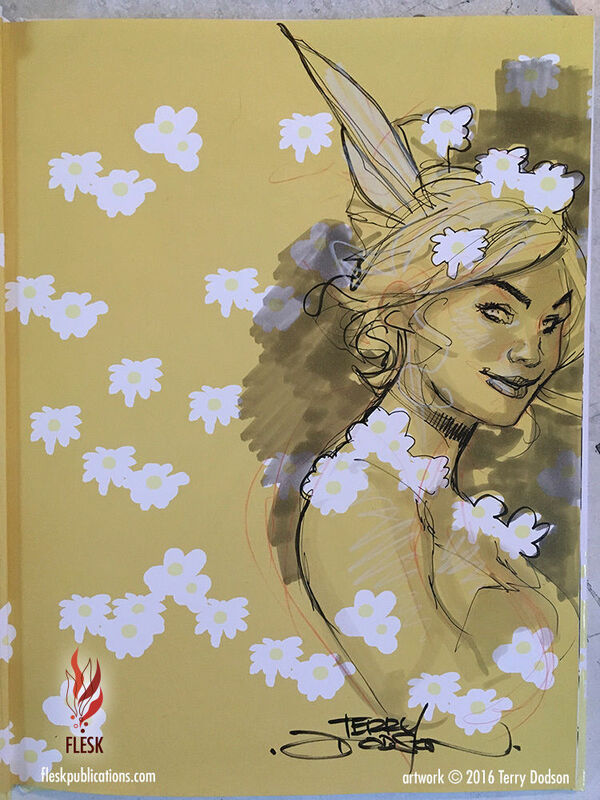 Bombshells Sketch in my Bombshells Two Sketchbook up for Charity Auction now! 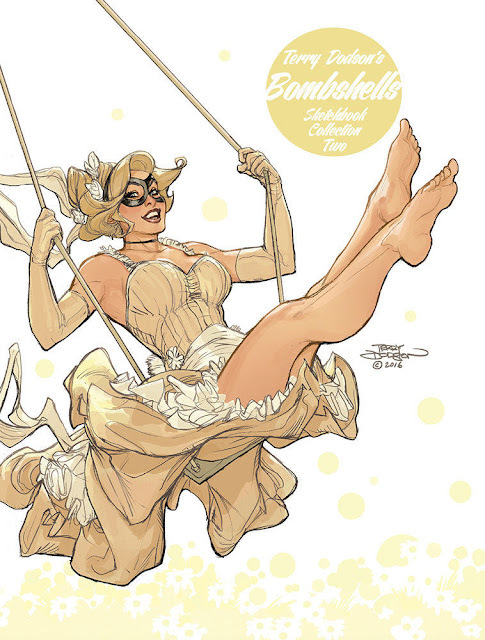 This charity auction is for a copy of Terry Dodson's latest art book collection Bombshell's Sketchbook Collection Two with an original drawing by Terry on the front endpaper of the book. The drawing is roughly 9" tall. The yellow background and white flowers are printed. The image of the woman and signature is original. This 48 page collection gathers the out of print Bombshells Sketchbooks #4-7 and new material--all rescanned and in a gorgeous 7.75 x 10.25 inch hardcover format! The book is in excellent condition. It's a new copy that has only been opened by Terry to make the drawing inside. Flesk Fundraiser Event to Support Stoke Out Santa Cruz! 100% of the proceeds from this series of Flesk auctions will benefit our local youth in need here in Santa Cruz, California. This money will provide shoes, sweatshirts, food, and hope to these kids who can use a helping hand. The amazing people at Santa Cruz Hope are making this happen and I'm proud to play a small part in the fundraising efforts. The Live Oak School District has asked for help for 300+ kids in the most need. More than half are families in transition (need housing). This fundraiser is very personal to me. Life was challenging for me growing up and I can relate to these kids. It's my goal to raise as much funds as possible to get these kids Stoked! Please see our other auctions that are running. We have a whole series of books with drawings available by many of today's top artists.